One of the most important decisions you make is buying your home. Your next dream home is unique, special, bigger than the last one, nearer the perfect school, walking distance to the train station ,close to family etc, etc, etc, the list of must-haves seems endless. We’re here to help you…. To find out more about buying a property with brandons call our dedicated team on 01483 798840. Step one Take the Logical approach…. It’s the first viewing, remain objective, view the property as a building. It’s all about the location and the space on offer. There’s always something different to see, book an appointment at a different time of day, take along a good friend or family member. Please don’t be afraid to ask us…. call our dedicated team on 01483 798840. Remember we have spent time with the current owners, we know what they love about their home, we know what changes they have made over the years they have lived there and we may even have sold the property before. Just ask…. Step three Have you spotted any hairline cracks in the walls or ceiling? 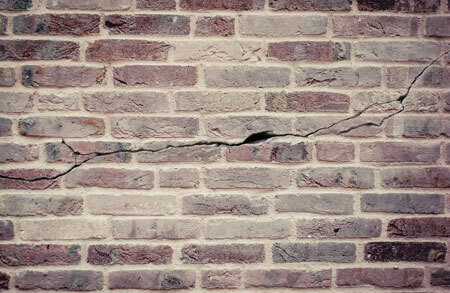 Ruling out structural issues from the outset could save you time and money but don’t be put off the property. If you do spot something tell us…. A professional opinion will give you peace of mind and may provide you with the power to negotiate on the price. Are you relocating? Buying in this area for the first time? Tell us…. We are all local to the area and we will be happy to help you find out more about our community. take your time and ask us…. There is so much information available on the web but our local knowledge is like gold dust. Had the survey and there is a query? Don’t be put off, remember the property is right for you so tell us…. the query. We will help resolve it…. Phew your back on track! Remember there is always something on a survey , it’s the surveyor’s job! If a survey reveals the worst possible scenario and one that’s enough to put you off the property, don’t be disheartened. It may have saved you tens of thousands of pounds in the future. If your need help with a mortgage, ask us…. or call us on 01483 798840. We work closely with Mortgage Brokers, we can ask them to give you a telephone call and get a mortgage in place for you.